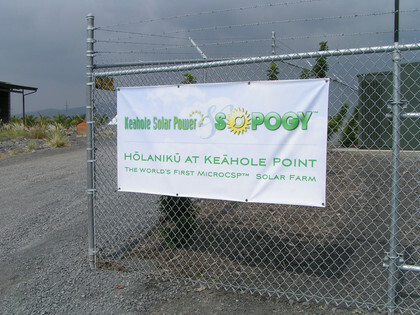 At the beginning of June, I had the opportunity to visit the new Keahole Solar Power plant on Hawaii. 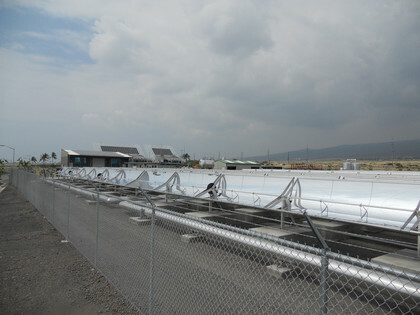 The plant is located near the airport in Hawaii's Renewable Energy Reserch Center. 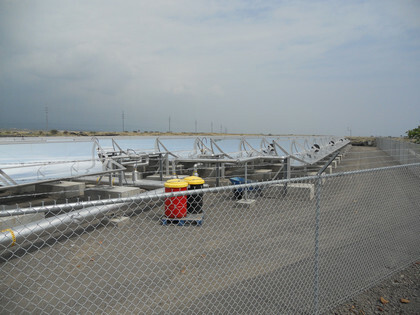 The plant is unique because it's a microCSP plant delivering power to the grid. 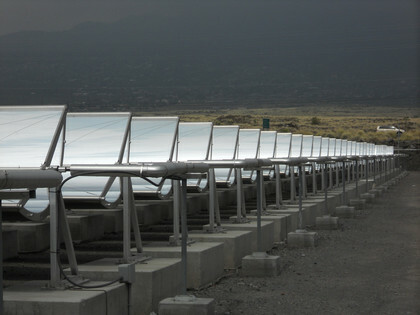 The troughs and footprint of the plant are therefore much smaller than "typical" utility-scale CSP plants. The plant will have a capacity of 2MW when fully operational, I was told. MicroCSP holds a lot of promise not only as supplier of renewable electricity, but also as provider of energy to industrial processes. 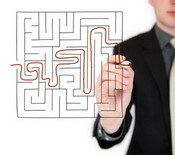 It can deliver steam, hot air and hot water in renewable fashion from a fairly small footprint.